All of us who have pets have been to a Vet on occasion. Here’s some hints how to make the most of that visit. Reminder: have your cat in a crate; dogs in a crate or on a leash, and keep them near you. Remember that sick animals may be in the waiting area with you and it may not be wise to have close contact with another animal. Think of it this way – would you go around kissing strangers/other patients in your own doctor’s waiting room? When you’re visiting a new Vet for the first time or going for an annual checkup, and especially if it is a sick visit, it’s important for you to be prepared. 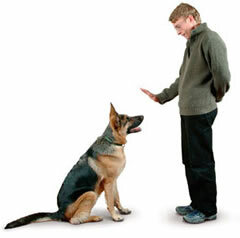 Be an active participant in your pet’s examination. Sometimes worrying about a pet’s condition causes us to forget questions we may have had at home. The answer is to write them down. If it is a first new vet visit, bring a copy of your pet’s vaccination record with you, if you have one, and a list of any medications your pet may be taking and the dosage. Be prepared to give a brief medical history of your pet. For an annual check-up visit, also bring the vaccination record and write out any questions or concerns you have about your pet, especially if there has been any recent significant change in it’s normal condition or behavior. If the visit is because your pet is sick - write brief notes about your pet’s illness, describing the symptoms and it’s duration. The vet will examine the animal and those things that are found on physical examination such as a wound, abnormal temperature [normal range: 100°F to 102.5°F / 38°C to 39.2°C)], limited mobility, swelling, etc., may be obvious, while less obvious problems may not be apparent. The vet needs your help directing him/her in making an accurate diagnosis of the problem. You need to be totally honest about sharing information about your pet, it isn’t the time for secrets and half-truths. If they eat junk, behave badly, pee on your carpets, let your vet know. And, if your pet bites or has bitten people in the past, tell your vet staff at the start of your appointment! Don’t put anyone at risk of their safety due to lack of information or your embarrassment. Without sharing your observations of your pet, important information may be missed. Answers to these general thought provoking questions hopefully may be a guide to help you think about and describe behavior changes: What was your pet’s ‘normal’ condition/behavior, and now what is “the change”? What does the “change” look like”? Give as many details as possible, even ‘yucky’ descriptions. When did it start? How frequent does this new change happens? Do you have any ideas what might have triggered this new condition / behavior? If you have a sample of the vomit, diarrhea, partially eaten wrapper/container of a suspected substance the animal might have ingested, etc., bring it with you to the vet, to be examined. Veterinarians at times have to be detectives when it comes to diagnosing some diseases and the history you provide is very valuable and may help your veterinarian save your pet’s life.